English watchmaking has got its mojo back, and so say all at SalonQP. Having already featured some of the British-based watch companies, we now move on to the Anglo/Swiss names beginning with Peter Speake-Marin. 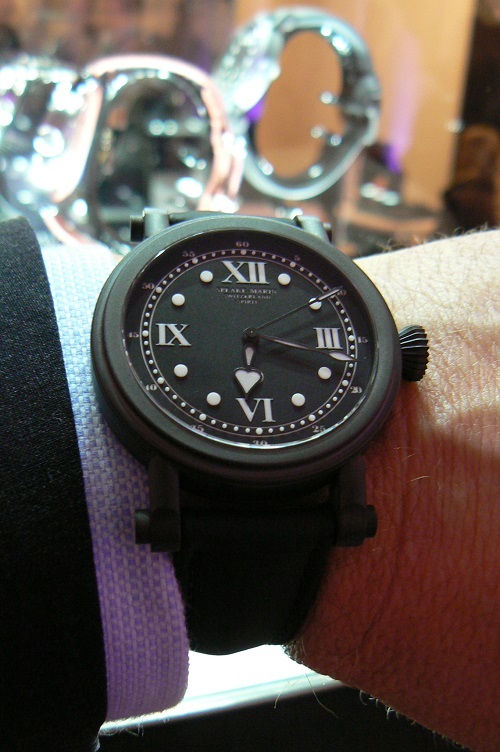 Speake-Marin watches may say "Switzerland" on the dial, but founder Peter is an Englishman who once studied at Hackney School of Watchmaking. After his time at the classroom workbench he spent seven years immersed in the best on-the-job training that a young watchmaker can hope to have - restoration, and the time which he spent at Somlo Antiques in London's Piccadilly Arcade was an experience which would gain him an intuitive appreciation for traditional watchmaking techniques. Despite the fact that Peter Speake-Marin has a knack for chameleon-like diversification with models ranging from the utilitarian styling of his Spirit models through to the elaborate and complex Triad and the Renaissance Tourbillon Minute-Repeater, his watches have some instantly recognisable characteristics - the Piccadilly case which is both robust and refined, the lugs which extend and protude proudly, his "Foundation Hands" which are playfully seductive and his ever-present "topping tool" motif. His most recent model, the Spirit Mk II DLC will be on display this weekend at SalonQP, providing a stealthy contrast to his other crisp white enamel dialled timepieces, if you get the chance I urge to to seek him out, Peter Speake-Marin is a fine example of the current generation of young British watchmakers .... even if it does say Switzerland on his dials. More Speake-Marin in our archives.